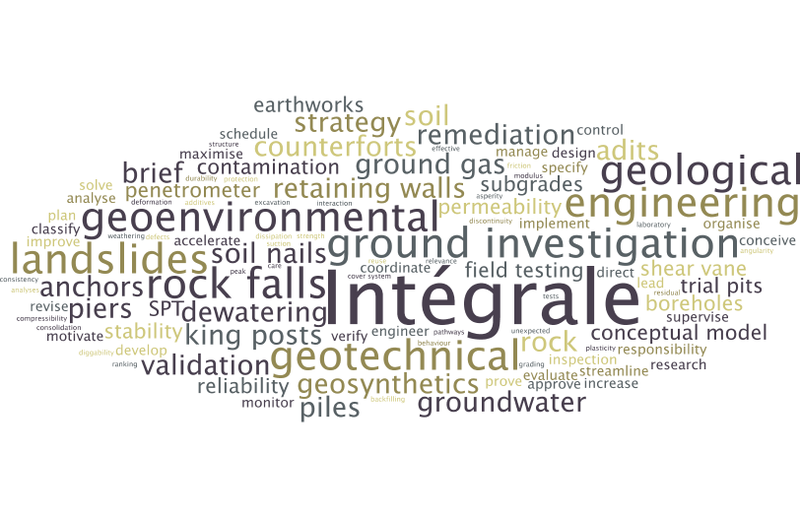 Intégrale is an independent geological practice that bridges the gap between geotechnical consultancy and ground investigation. Founded in 1987, we have a diverse and returning client base, regularly working for developers on residential and commercial/industrial sites, Local Authorities, private individuals, structural engineers, architects, insurance companies and other specialists looking to add value to projects. Maybe it’s a reflection of our breadth of experience that means we tend to work on the more difficult projects! Our expertise and services range from Geotechnical and Contamination Risk Assessment, Design Solutions, Validation and Remedial schemes. Thanks to our decades of experience, we deliver technical solutions to the commercial and strategic needs of all kinds of projects, whether small or large.